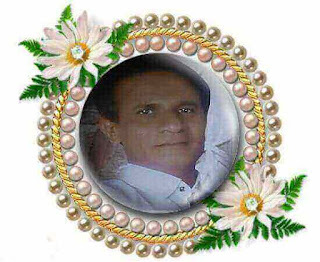 Ustad Muhammad Juman Sindhi Classical Music Singer. He was born in Village of Sorra, District Lasbela, Balcohistan on 10th October 1935.He was great Sindhi Folk Music, Sindhi Lok Music Artist, he sung Sindhi Songs and also sung in other languages. Ustad Muhammad Juman was legendary Sindhi Cultural Music Singer of Sindh. He created good name in Sindh Music. He learnt the music formally from great Pakistani musician Ustad Nazar Hussain. He was awarded Pride of Performance by the Government of Pakistan in 1980. He went to Radio Pakistan Karachi to start a career as a "Surando" Player" it called "Fiddler". He came into Radio Pakistan Hyderabad as musicians where he composed Sindhi Kalaams of various Sufi saints of Sindh. Ustad Muhammad Juman had sung poetry of "Hazrat Shah Abdul Latif Bhitai R.A", "Hazrat Sachal Sermast R.A", "Hazrat Bedal Faqeer R.A" and other popular Poets of Sindh in Sindhi Old Music. He was great Sindhi Singer and musician and and also Classical Music, Folk Music, Artist whose impact on Sindhi Folk Music. He was blogging to musicians family of Sakhirani clan. His father Haji Ahmed Sakhirani was also a Singer. Thus he became fond of Music from his childhood. 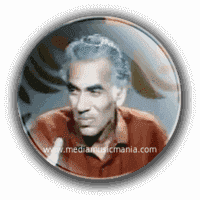 This great singer was died on 24 January 1990 in Karachi. I have selected below most popular Sindhi Lok Music of Ustad Muhammad Juman.